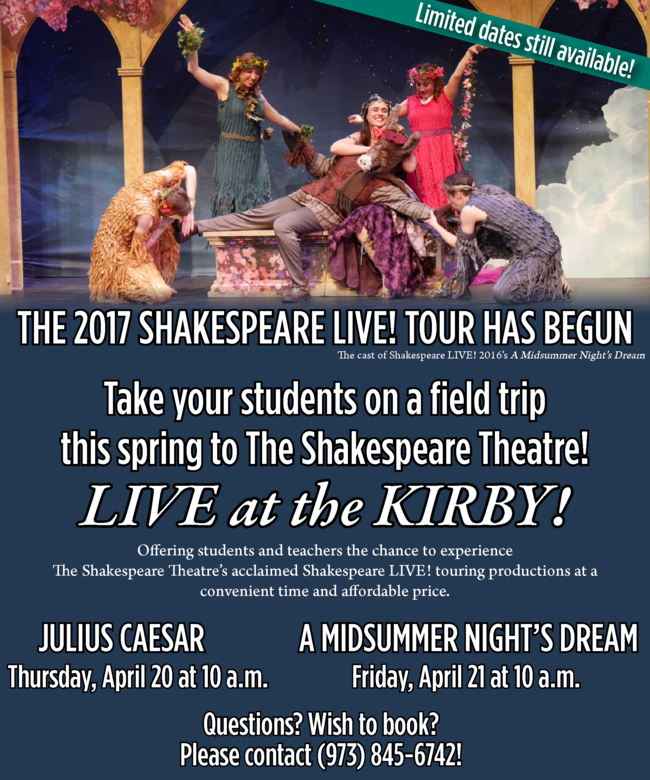 nj arts maven: SPRING INTO SHAKESPEARE SCHOOL FIELD TRIPS! Or bring Shakespeare LIVE! to your school! Though the texts are abridged to accommodate school schedules, LIVE! prides itself on keeping Shakespeare’s language intact. 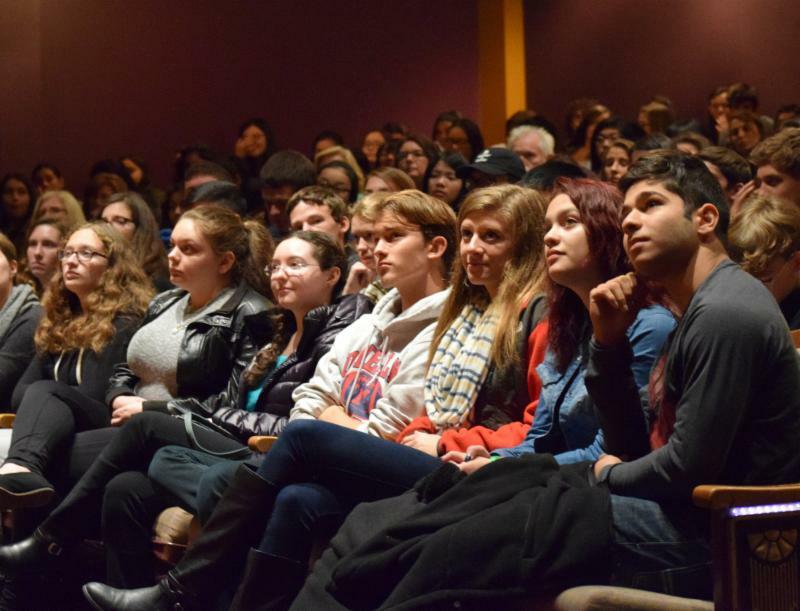 The productions are dynamic and appealing, exciting and engaging, witty and imaginative—giving students of all ages the opportunity to experience Shakespeare’s works as the playwright intended—in performance. Call our Education Department today to book a tour! (973) 845 – 6742 Limited dates are available. The Shakespeare Theatre of New Jersey is one of the leading Shakespeare theaters in the nation. With its world-class productions and myriad education programs, the company strives to illuminate the universal and lasting relevance of the classics for contemporary audiences and artists.